Since Lionel Messi suffered a groin injury earlier this month, there have been questions about exactly how long he’ll be sidelined. 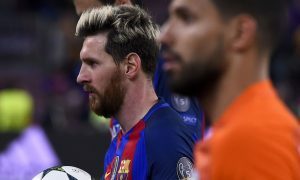 Barcelona’s big Champions League game against Manchester City has been reported as his target for a return, but Barcelona refused to confirm a return date for the 29-year-old. Now comes news from Silvia Ortiz of Esports COPE who has information that the Argentine has started running again and WILL be fit to face City on October 19. 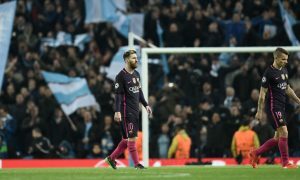 City’s trip to the Camp Nou promises to be difficult with or without the world’s best player fit to appear, but news that he will line up for Barcelona makes a tricky task that much more difficult. Pep Guardiola will surely have a game plan, though, as City look for their first win over Barcelona in a competitive fixture.